Professional close up magician in Nottinghamshire available for weddings, parties and events in Nottingham, Bingham, Mansfield and Newark on Trent.  Andy Field is a full time Nottinghamshire magical entertainer for birthday parties and weddings. 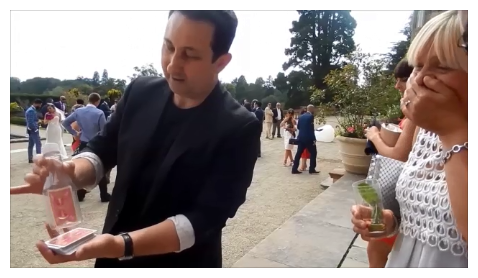 Hire Andy and experience his memorable close up magic! Terrific wedding and party magic which will join your friends together! Andy’s walk around magic will excite and pull in your guests! Wonderful conjuring that is hard to put into spoke words! Take a peek at this ninety second card trick illusion! Nottingham wedding wedding Andy Field creates a lot of his own unique card tricks. Just like this one! To begin with wedding entertainment is a given. Your guests need something to stimulate them. A beautiful atmosphere on a sunny day is everyone’s wedding day dream! As yet Andy is unable to use his magic to conjure up the sun! However he can guarantee his magic will make your guest laugh and lubricate conversations! 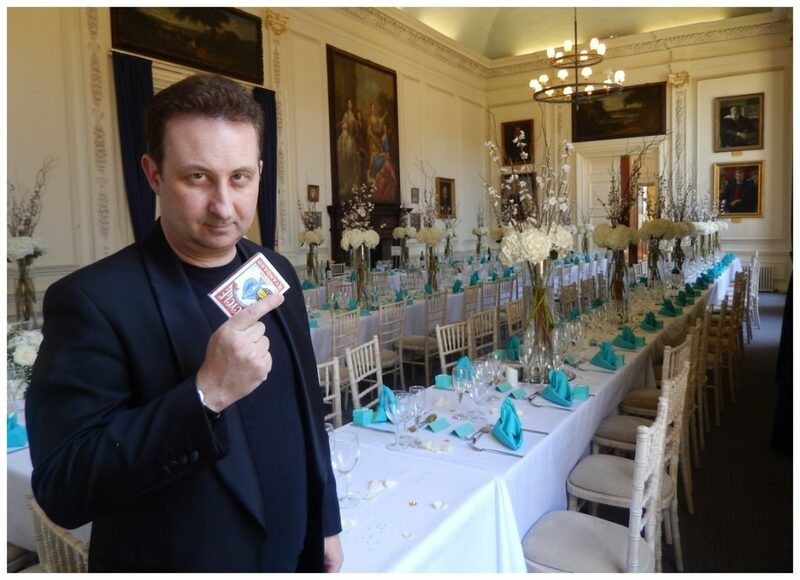 Andy is an amiable Nottinghamshire wedding magician He performs very unusual and beautiful close up magic. All in all to make you day enjoyable and forever remembered by all who attend it. SUGGESTION 1. THE DRINKS RECEPTION. As a bride and groom you may want to hear and see guest laughing and enjoying your wedding drinks reception. Also family enjoying each other’s company. Guess what. Andy magic can help this happen! SUGGESTION 2. THE PHOTO CALL. While you are away taking your crucial wedding pictures there is no one to host your guests! This is where Andy’s can work his magic and keep everyone entertained! SUGGESTION 3. THE EVENING RECEPTION. Family and friends will be meeting up for the first time here. Nottingham magician Andy can use his table top magic here very effectively to help merge people together. Using a birthday party entertainer for your Nottingham night of celebrations is a great idea. A super way to induce and keep and lovely atmosphere flowing throughout out your celebrations. Andy’s sleight of hand walk about magic means that everyone gets to experience some very close and bespoke magic tricks! Once your party goes experience Andy’s mind reading, close up magic and sleight of hand they will have a euphoria of emotions! For instance hear laughter and cries of astonishment – this is just from the men! The ladies really like experiencing Andy’s magic! The three rings in the picture belong to the ladies. Not Andy! He just linked them together! What is your poison? Card tricks, mind reading, sleight of hand, close up magic with money. Or perhaps you want to see TV magic illusions? For example watch a borrowed ring vanish and appear in crazy places before you very eyes! Would you like your magician to have a wicked sense of humour and have the experience to banter with you guests? 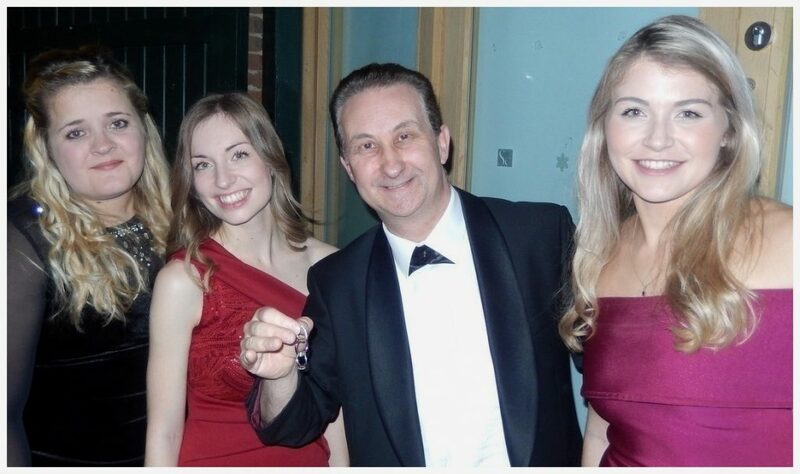 Andy’s experience at previous Nottingham corporate events can make all of this happen. The question is are you ready to receive him and have some unforgettable fun! Wizard Andy knows you are passionate about your Nottingham charity event. You really want some excellent family or corporate entertainment. Like most professional wedding entertainers and magicians he does need to earn money. Unfortunately he is not available for complimentary shows. He does require a fee. However having said this that fee is negotiable. Get in touch. You never know. You may well end up hiring a fantastic magician who will not let you down. 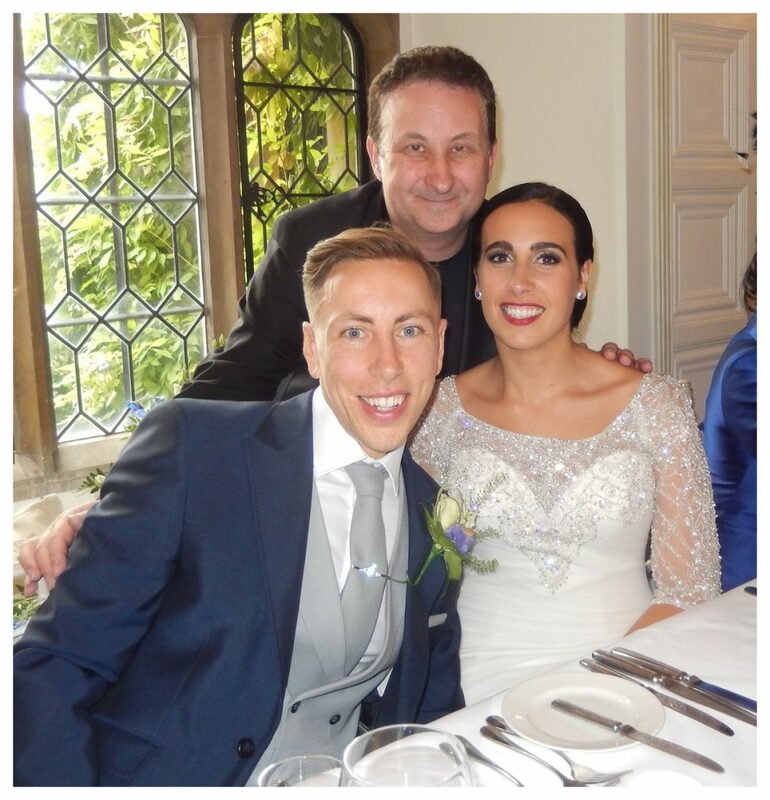 Not only will your guests have a great time Andy can also help collect some money and fundraise for your charity event as well. 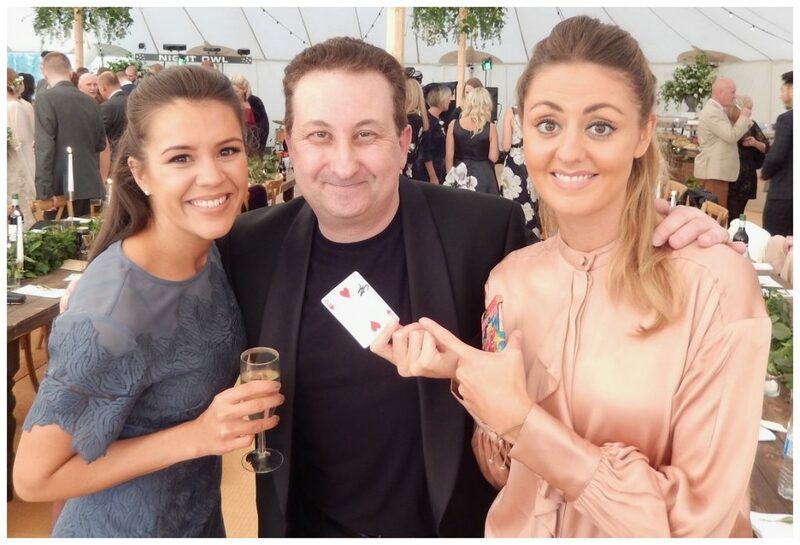 Northampton magician Andy Field combines sleight of hand card trick magic with ESP mind reading! This branch of magic sounds creepy and serious. However when ESP magician Andy performs he mixes his presentations with humour. The end result is it takes the serious side away and it will allow your Nottingham corporate, wedding or birthday party guests to really enjoy the experience! No need to get up. Andy will bring his magic over to your table. What a nice chap! When Andy is conjuring with this type of magic he can sit down at your table with you and perform. Or he can walk around a room set up such as a wedding breakfast is and give each table their own special show. Boring magic that is badly presented? – NEVER! By and large there are three words to describe Andy’s Nottingham close up magic. Flexible, entertaining and fun! Most events have guests stood up with a drink talking to people. 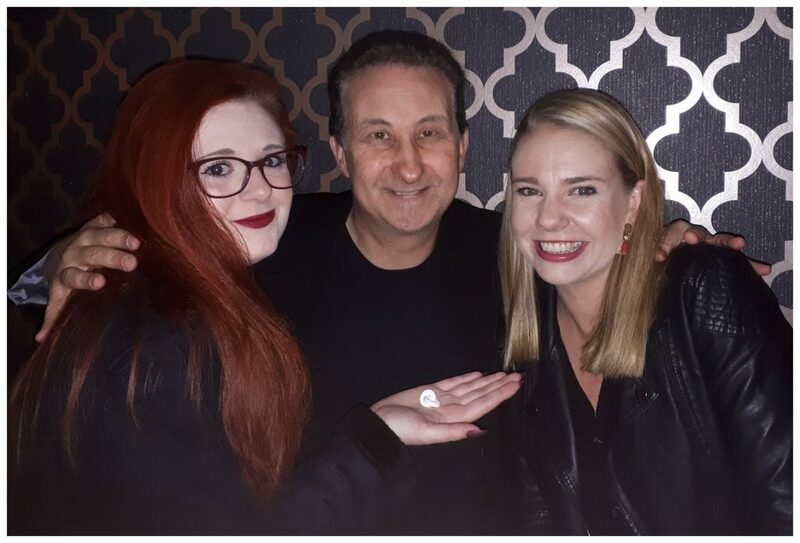 This means Andy is free to wander from group to group entertaining people on his travels and amaze them with the most fantastic magic illusions they will ever see! 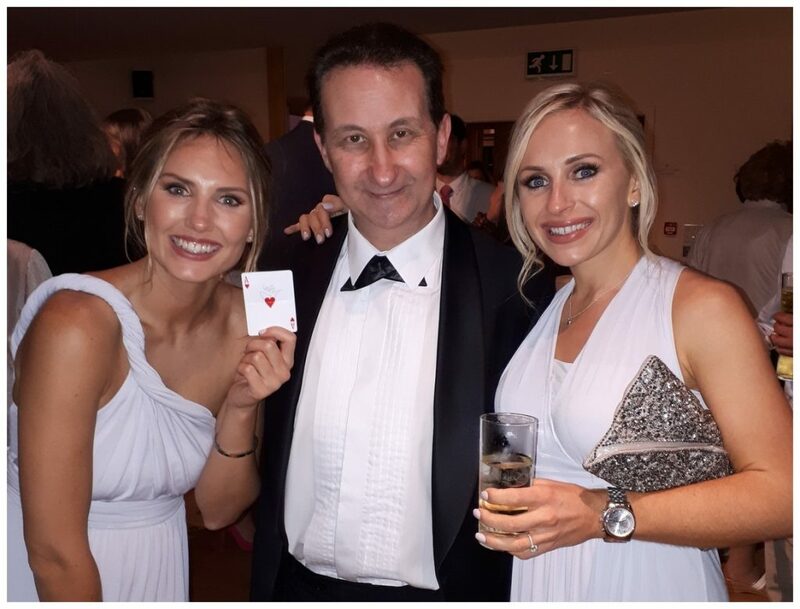 To begin with customer reviews for Andy’s close up magic also take into account his overall service as well as his magic performance. For example his personality is friendly and funny. His attitude is professional, reliable, easy to work with and dependable. Please visit Andy official Facebook Page for more information including selfie pictures, video performances and blog posts. Powerful magic that entertains and amazes guests. Job done! We all like a bargain. Magician Andy’s moto is a good service for a good fee. Fair exchange is no robbery! 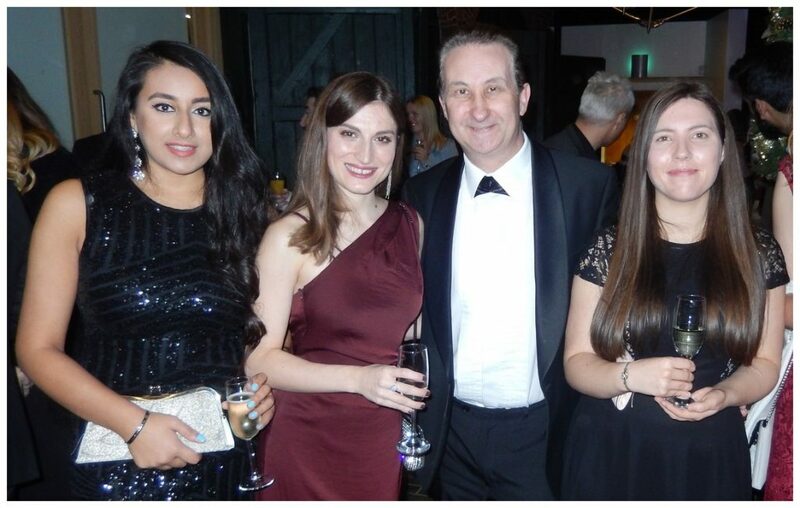 Andy loves his work and would really like to support you Nottingham wedding, birthday party or corporate event. By all means please get in touch. Lisa or Andy will get right back in touch to help you. Do not be shy! We would love to hear from you. Even if it is just a general inquiry! Lisa and Andy are very sociably and like to talk. Get in touch via our contact form. You have all this enthusiasm and wish to learn how to perform fantastic magic. You have seen how it makes people happy and it amazes them. Now you want in! No problem. 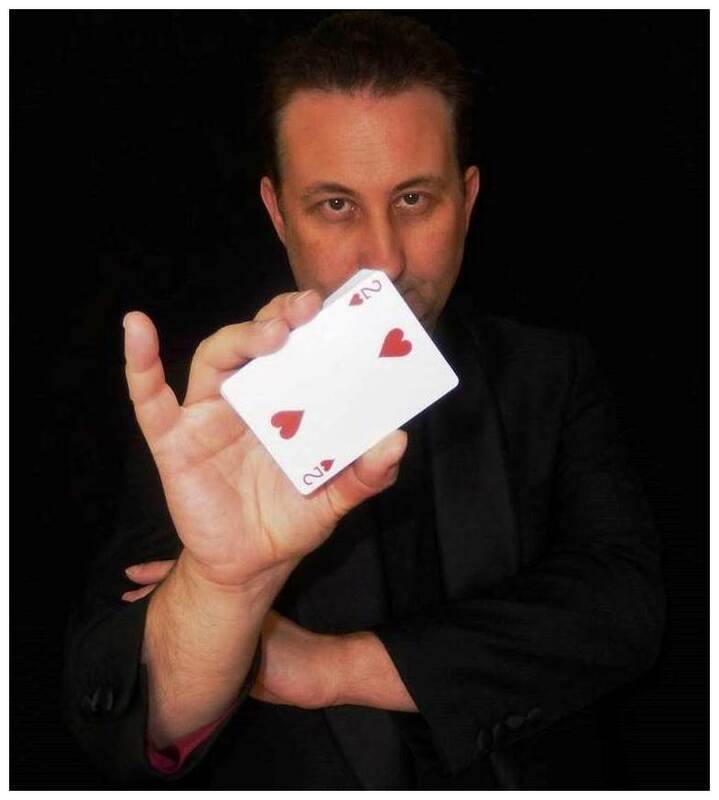 If you are over eighteen years of age and live in the UK then Nottingham magician Andy can help guide you. To begin with check the tuition page for more details.